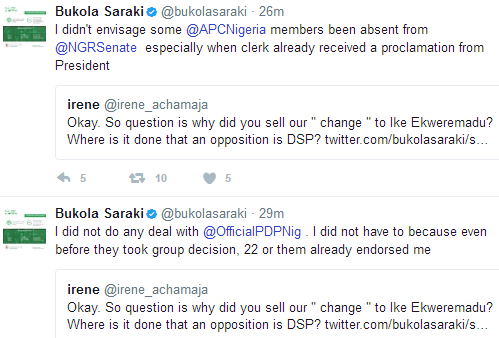 While answering questions from one of his followers this morning, Saraki denied claims of having a deal with PDP to ensure Ike Ekweremadu emerged Deputy Senate President. According to him, some of the APC members who were supposed to vote during the senate election, decided to be somewhere else when the election was taken place. 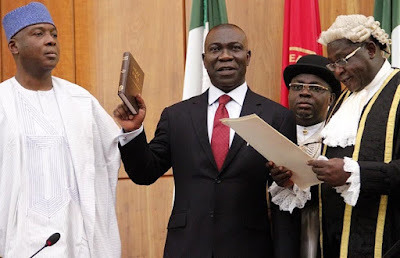 Ekweremadu defeated Ali Ndume of the APC to emerge the 8th Deputy Senate President. If u do, will u tell the world?